Tender beef in a rich red wine sauce with sautéed mushrooms, red bell peppers and onions served in a ring of parmesan mashed potatoes. Tender beef in a rich red wine sauce with sautéed mushrooms, potatoes, red bell peppers and onions folded in a house-made herb crepe. Our signature balsamic-marinated chicken topped with creamy wild mushroom sauce, served with Rice Provençal and steamed broccoli. Roasted salmon fillet over rice Provençal topped with dill cream sauce. 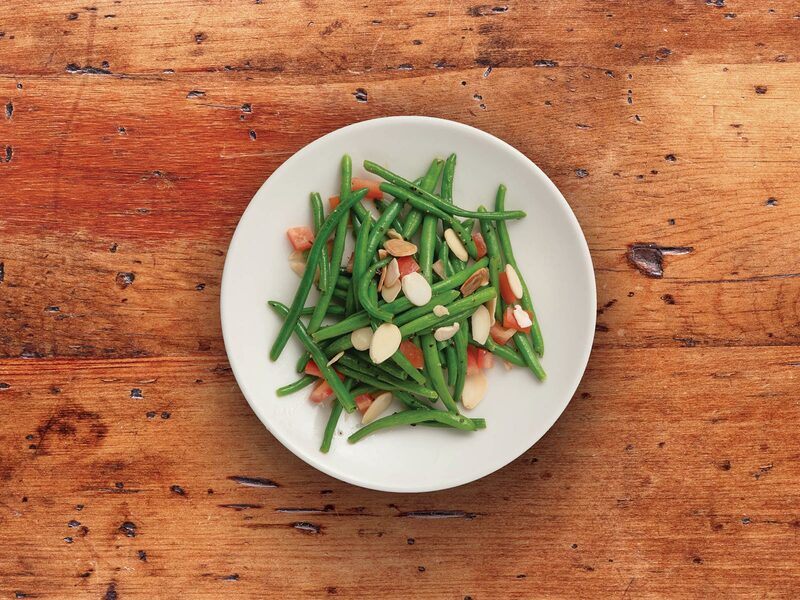 Served with green beans almondine (contains nuts). Penne pasta sautéed in our house-made pesto cream sauce with balsamic-marinated chicken or shrimp and fresh diced tomatoes. Penne pasta sautéed in creamy wild mushroom sauce with balsamic-marinated chicken or shrimp, steamed broccoli and fresh diced tomatoes. Balsamic marinated chicken, steamed broccoli, fresh diced tomatoes and garlic sautéed in our creamy pesto sauce generously filled and folded into a house-made herb crêpe. Roasted salmon fillet served over French lentil and kale stew. Our house-made egg, spinach and Swiss custard baked in a buttery, flaky pie crust. 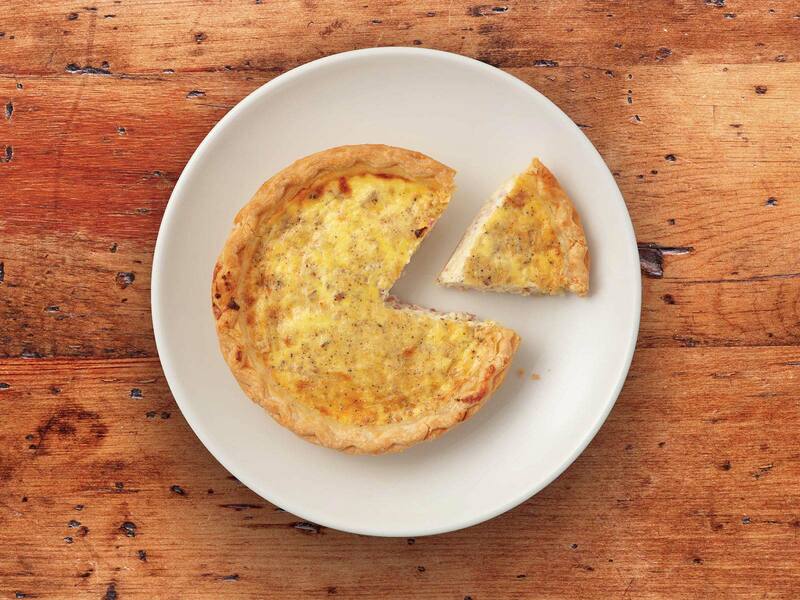 Our house-made egg, ham, bacon and Swiss custard baked in a buttery, flaky pie crust. 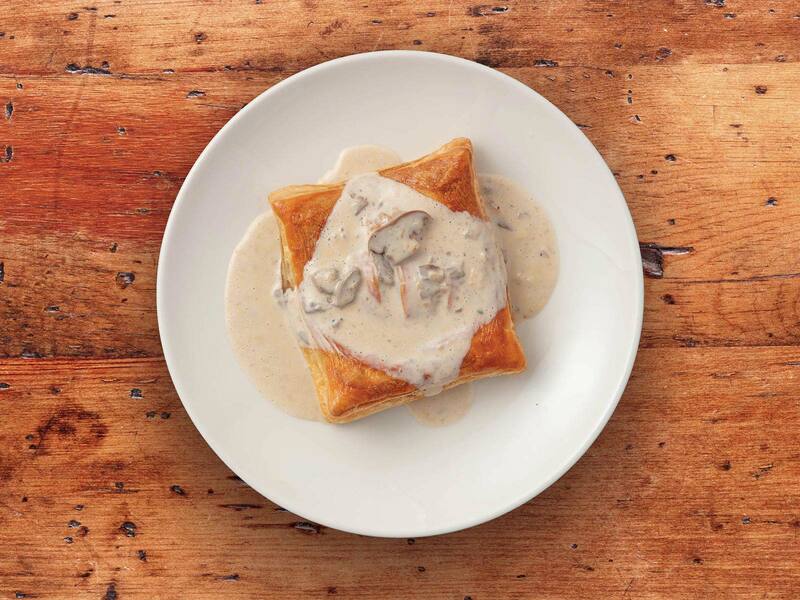 Tender chicken, mushroom, onion and Swiss filling in a flaky puff pastry shell topped with our creamy wild mushroom sauce. Complete your meal with additional sides. 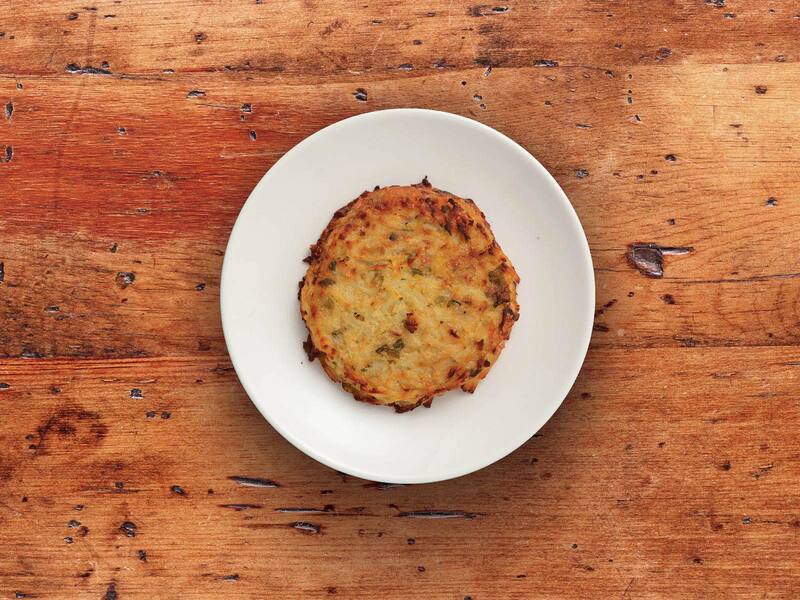 Our house-made French potato cake. Potatoes blended with Parmesan, fresh green onions and spices baked to a golden brown.